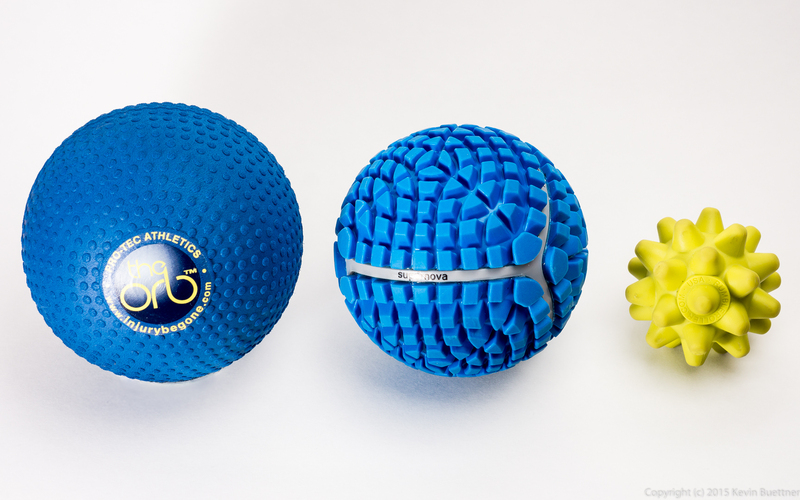 From left to right are the Pro-Tec Orb, the (original) MobilityWOD SuperNova, and the RumbleRoller Beastie. 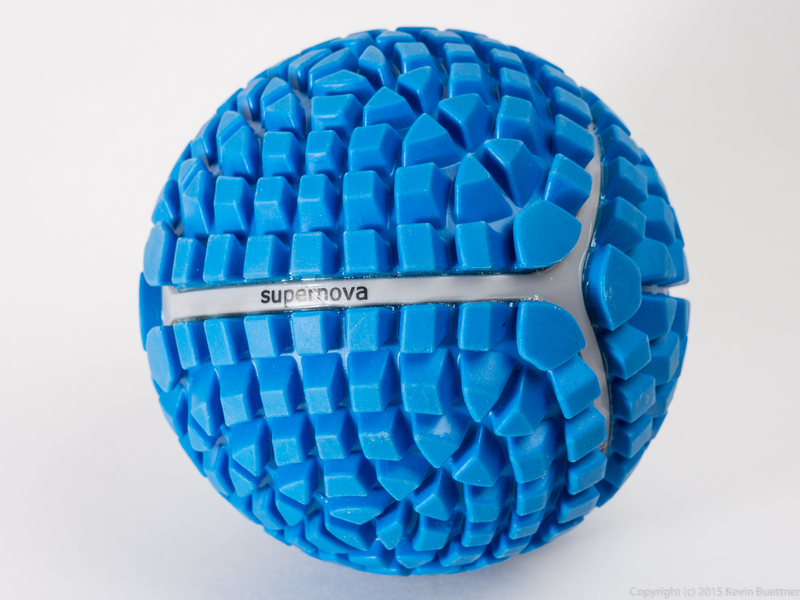 Here’s a photo of the MobilityWod SuperNova by itself. The SuperNova is only slightly smaller than the Orb, but is quite a lot heavier. Its textured surface does slip less often than the Orb when in use. It’s slightly smaller size also allows for slightly easier penetration into muscle tissue.